Summary: Divorced real estate agent Frank Mollard’s (Anthony LaPaglia) is struggling to deal with divorce and his place in the world when he is suddenly surprised from a phone call by Sarah (Julia Blake) an elderly woman who reminds Frank of his own mother who is now deceased. A film is supposed to make you feel a range of different emotions when you watch it, but very often it’s how you feel as you leave the cinema that is the most important. Will you leave feeling entertained? Informed? The one thing you probably shouldn’t be feeling when you leave the cinema is empty… but sadly that is the way I found myself feeling as I left the cinema after a screening of A Month of Sundays… something that I should add that the friends with me were feeling as well. To be honest that completely surprised me because in the past I have adored the films made by Australian director Matthew Saville. His debut feature Noise was a fresh alternative Police drama that had me really raving about the brilliance of the film, while his last film Felony again visited the boys in the blue and kept its audience guessing from start to finish. That is the first thing that hits you about A Month Of Sundays it is very different to anything that Saville has done before. 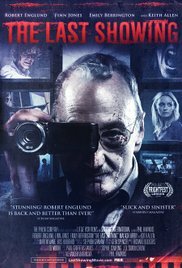 Instead of going down the crime path this film centres around Frank Mollard (Anthony LaPaglia – Without A Trace) a real estate agent who has found himself in a deep funk as he struggles to see any importance in his work and is also dealing with the fact that his now famous wife, Wendy (Justine Clarke – Look Both Ways), has left him and he has no idea how to connect with his son, Frank Jnr. (Indiana Crowther – newcomer). Then along comes something that sparks a little bit of interest in Frank’s life. He receives an accidental phone call from Sarah (Julia Blake – Don’t Be Afraid Of The Dark), a retired librarian who reminds him of his mother. While Frank’s uncaring boss, Phillip Lang (John Clarke – The Man Who Sued God) warns him against it Frank finds himself drawing closer to Sarah. A quick read through of the summary of the film and you see that it could have been possible for A Month Of Sundays to have been a very thought provoking film. To its credit the film does explore topics such as how an older male deals with the break-up of a marriage, the loss of his mother and also trying to relate to his teenage son, but the film just does not go deep enough into any of those topics to make it worthy film. The film also doesn’t allow its audience to feel sorry for Frank enough, we simply see him as a morose (and kind of boring) individual and as a result you just never really develop a connection to him. Worse still is the fact that the filmmakers obviously think that the audience with side with Frank and not support Sarah’s son in his belief that Sarah and Frank’s friendship is a little strange. Truthfully it is easier to see the son’s point of view than it is to see Frank’s. 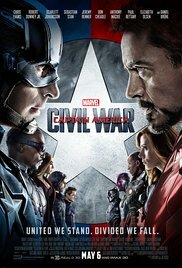 One of the biggest problems with the film though is that it just seems to cruise along at a steady pace with very little highs. The major high throughout the film is the comedic style of John Clarke, which most Australians would have come to know and love with his political satire on A Current Affair. Clarke’s style steals nearly every scene that he is in and it is often his one liners that are the stand out. He even manages to deliver some good emotional scenes as we see his character battle with dealing with the fact that his elderly father has lost his mind. As usual Anthony LaPaglia is good but really doesn’t get a lot to work with. He breezes through his scenes while wearing the same emotion on his face in nearly every scene. He is well supported by Justine Clarke and newcomer, Indiana Crowther. The clear standout here though is Julia Blake who commands the screen in every scene she appears in and once again she has managed to deliver another great performance. A Month Of Sundays is a little bit of a letdown for all the Matthew Saville fans out there. Slow and unremarkable this is a film that I doubt that I will revisit. A Month Of Sundays is the third film from writer/director Matt Saville (a veteran of television with credits ranging from the telemovie The King to sitcom Please Like Me), and is something of a change of pace for a filmmaker widely considered as one of our best. His first two films were the multi-award winning Noise and Felony, both character-driven police dramas that explored themes of guilt, responsibility, family and secrets. A Month Of Sundays is a more introspective drama about a man undergoing a midlife crisis who gets a new lease on life after he meets an elderly woman. It deals with universal themes of family, loss, grief, mortality, dysfunctional relationships, the dream of owning your own home, regeret and redemption, and a variety of complex mother/son relationships. 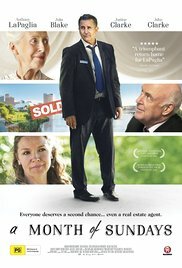 The central character here is Frank Mollard (played by Anthony LaPaglia, from tv series Without A Trace, the recent Holding The Man, and AFI award winning dramas Balibo, Lantana, etc), a real estate agent who has fallen into a pit of despair and is sleepwalking through his life at the moment. He is having trouble selling houses, even in the midst of a real estate boom. His mother has recently died, he is still dealing with the breakdown of his marriage to Wendy (Justine Clarke), who is finding fame as the star of a new television medical drama, and is having difficulty relating to his teenaged son (newcomer Indiana Crowther). His job is selling houses that belong to the soon to be deceased, which further adds to his emotional turmoil and sense of grief. Then he receives phone call from the elderly Sarah (Julia Blake), who accidentally rang his number when trying to call her own son. Intrigued by their brief conversation and the sense of comfort it briefly provided, Frank arranges to meet Sarah and through her he explores his own grief and emotional confusion. His presence soon proves an irritant to her real son Damien (Donal Forde), who works as an IT expert. But eventually Sarah becomes something of a surrogate mother figure and her wisdom and life experiences eventually help snap Frank out of his ennui and he begins to reconect with the world around him. But unfortunately this earnest and well meaning but contrived melodrama is the lesser of Saville’s three films. It is uneven in both tone and pacing. There are problems with the script and the characterisation as we don’t really identify with some of the characters here or even care that much about them. 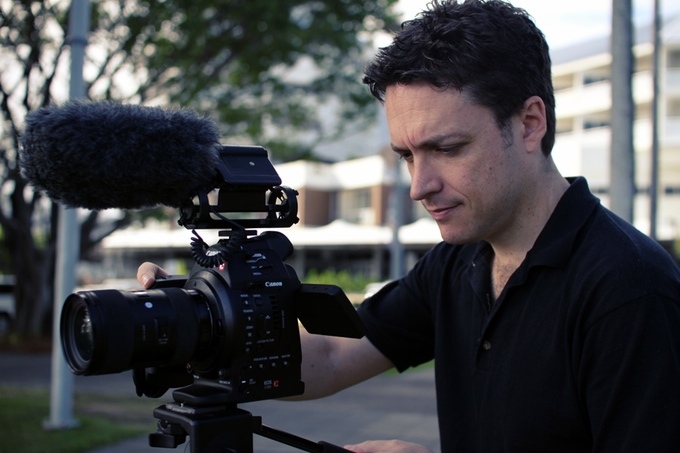 Veteran cinematographer Mark Wareham (Felony, BoyTown, etc) makes good use of the leafy tree lined suburban streets of Adelaide and gives the film a strong sense of location and a strong visual surface. LaPaglia is good at conveying the fragility and vulnerability of the male psyche and he does a good job here bringing some unexpected layers to his nuanced portrayal of Frank. A nice touch sees Frank describe every location he enters in terse real estate terms: “Meticulously renovated family home; untouched period charm; late Victorian style; scope to further improve…” Although 79, Blake is still a formidable screen presence and she brings gravitas to her role as Sarah. But the best moments of the film centre around Frank’s shifty boss Philip (a scene stealing performance by comic John Clarke), a shifty hustler with a heart of stone. Clarke brings his usual dry, deadpan wit to the role and I wanted more of his character and less of the melodramatic stuff about dysfunctional families and midlife crises that we have seen in numerous other similarly themed films. But overall A Month Of Sundays is a rather trite and pedestrian affair that will struggle to resonate with a wider mainstream audience. Anthony LaPaglia plays sour faced estate agent, Frank Mollard, who could be a human stand in for Droopy the Dog should he ever fail to turn up for work. Frank is still wrestling with unaired feelings about his mother’s death the previous year, his ex-wife is carving a successful career as an actress and his distant son appears to be following suit. He’s also become disenfranchised with his job; watching potential first time home owners lose out to middle-aged hipster property tycoons. When he receives a call from a sweet old lady called Sarah (Julia Blake) who has misdialled, Frank spies an opportunity to claw back some of the happiness he once had. There’s something about A Month of Sundays, the latest film from director Matthew Saville, that doesn’t quite stick. For all intents and purposes the goods it puts on display are tempting; great cast, sunny locale and a touching underdog story that often resonates with Australian audiences. And yet it all feels a bit too light, particularly when stacked up against Saville’s previous work, such as Felony and Noise. 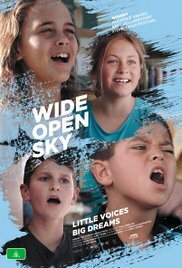 The trailer suggests that this will be a bittersweet drama about two people forming a cross-generational friendship in which they’ll laugh, cry, and possibly even learn something at the end of the day. However, Sarah, played wonderfully by Julia Blake, is merely one of several characters who walk in and out of scene to validate Frank’s demeanour. We learn an awful lot about the bitter agent, but very little about the dear OAP who likes to use the Dewey decimal system to keep her books in order at home. Affectations do not a personality make. When a turning point in the film sees Sarah receive some tragic news, it makes the same misstep as Me and Earl and The Dying Girl, by denying her agency and instead focussing on how poor Frank will cope. LaPaliga is brilliant, but this film should really be more of a two-hander than it is. However, it’s not all doom and gloom, as Jack Clarke steals a number of scenes as Frank’s boss Peter Langdon. Even then though his acidic one-liners are hampered by scenes involving his mentally ill father that feel like they were taken from another film. As feel good movies go, this is pretty much by the numbers stuff and it’s such a shame that a talented person like Saville would make such a misstep. However, in the right mood, A Month of Sundays is perhaps a non-taxing classic Sunday arvo film waiting to happen. Other Subculture Entertainment A Month Of Sundays reviews: You can also listen to our full A Month Of Sunday review on The Good The Bad The Ugly Film Show Ep #174. If you’re in Sydney and would like to win a double pass to a special screening of the brand new film Bastille Day on May 4th thanks to our good friends at Studio Canal then listen up. Bastille Day sees Michael Mason (Richard Madden, ‘GAME OF THRONES’) is an American pickpocket living in Paris who steals a bag that contains more than just a wallet. Sean Briar (Idris Elba, ‘LUTHER’), the field agent on his case, soon realises that Michael is a pawn in a much bigger game. 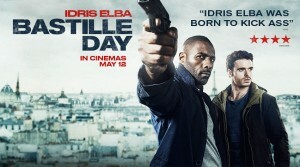 BASTILLE DAY preview screening May 9 at EVENT Macquarie. For you chance to win simply private message us the code word ‘Idris’ on our Facebook page. Make sure you are listening to this week’s episode of The Good The Bad The Ugly Film Show for your chance to win a The Man Who Knew Infinity pack thanks to our good friends from Icon. 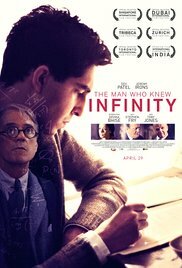 The pack contains a double pass for you to go and see The Man Who Knew Infinity and copies of Slumdog Millionaire, The World’s Fastest Indian, The Motorcycle Diaries, Nowhere Boy, Love & Mercy and I’m Not There on DVD. The pack is worth $140. To win just listen to this week’s episode of The Good The Bad The Ugly Film Show, and tell us how many stars Dave gives Midnight Special and then private message us your answers on either our Facebook or Twitter pages. 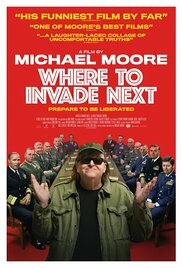 Summary: To learn what the USA can learn from other nations, Michael Moore playfully “invades” them to see what they have to offer. Michael Moore’s first film in six years is another provocative, acerbic and yet somehow entertaining polemic about the ills of contemporary America. As usual he is front and centre in his film, but here he seems a lot more positive and optimistic than he has been in eartlier documentaries. It seems that Moore hasn’t changed his approach to his subject matter, his political or social views – or indeed his clothes by the look of it – since his breakthrough film Roger & Me in 1989. Moore is a provocateur whose other films include the controversial Bowling For Columbine, in which he took a scathing look at America’s gun control laws, and Fahrenheit 9/11, which tackled the war on terror. In Where To Invade Next he looks at the discordance between American values and actions at home, and he looks at social policies concerning education, health, justice from a unique perspective. He points the finger at the failings in these key social policies in the worls’s richest and most powerful country. Armed with an American flag and a sense of self righteousness, Moore and his regular film crew visit a number of countries which have social policies that instil a sense of compassion, justice and fairness into their society. His aim is to bring some of these “radical ideas” back home to America, which is floundering under a wealth of social problems that no army can fix. His grand idea is to bring these great social policies back home to America and fix the obvious problems. As he ironically points out, it seems that the American Dream is alive and well in other countries except America. Thus he explores a utopian Europe. He visits places like Italy, where the people seem to live, on average, four years longer than Americans, because they enjoy a genuinely happy lifestyle. Workers are paid a generous salary and have eight weeks of paid vacation per year, and there seems to be harmony between the workers and management. He visits Finland which boasts the best educated students in the world, this despite cutting back on school hours and dropping homework altogether. He visits France, where the people pay a higher tax rate than the US, but where they benefit from free education and health care and a range of other social services. He even visits a school cafeteria to check out what the average French student eats, and is surprised at what he learns, and tastes with a gourmet meal prepared by a chef. Slovenia has free university education – even for nonresidents! Unlike the US, where the average 22 year old is heavily in debt upon completing college and starting out in the work force. And Norway’s prison system is based on rehabilitation rather than punishment, and apparently has the lowest recidivism rate in the world. Portugal apparently solved its drug crisis by legalising drugs, which resulted in a lower crime rate. Moore makes his comparisons with the US quite potent, especially when he includes footage of the national guard moving in to quell riots in the town of Ferguson, and footage of prison guards beating on prisoners. And, as he also points out, 60% of US taxes are spent on the military rather than other vital social services. It is all sobering stuff and quite persuasive. And much of its delivered with Moore’s trademark sense of humour and curiosity. He keeps things positive and upbeat with a sort of blind optimism. And his genial humour helps audiences swallow the bitter pill more easily. But there is also a sense that Moore is cherry picking those social policies that satisfy his own personal outlook, and he obviously has his own agenda to follow. He is often manipulative in his presentation of facts, but it is less obvious here. Moore has a scattergun approach to his material, and he tends to overload the audience with too much information, Ultimately the documentary eventually becomes a little unfocused. This is especially so when he includes women’s rights in his agenda, and when he also visits Iceland, which started the economic collapse of 2008 but which managed to jail many of the corrupt bankers – unlike America, where the government spent billions of taxpayer dollars to bailout the banks. There is no doubting Moore’s passion for his subject here, but while Where To Invade Next may not his most authoratative or persuasive documentary it is still provocative and entertaining with some eye opening revelations. Other Subculture Entertainment Where To Invade Next reviews: You can hear our Where To Invade Next review on The Good The Bad The Ugly Film Show Ep # 172.